We’ve combed Australia’s cooking schools to find this top-shelf selection of cooking classes that are out of the ordinary in their food, philosophy and, of course, their locations. Inside the Agrarian Kitchen, Lachlan, Tasmania. Where better to learn the art of cooking wholesome food than where it comes from. 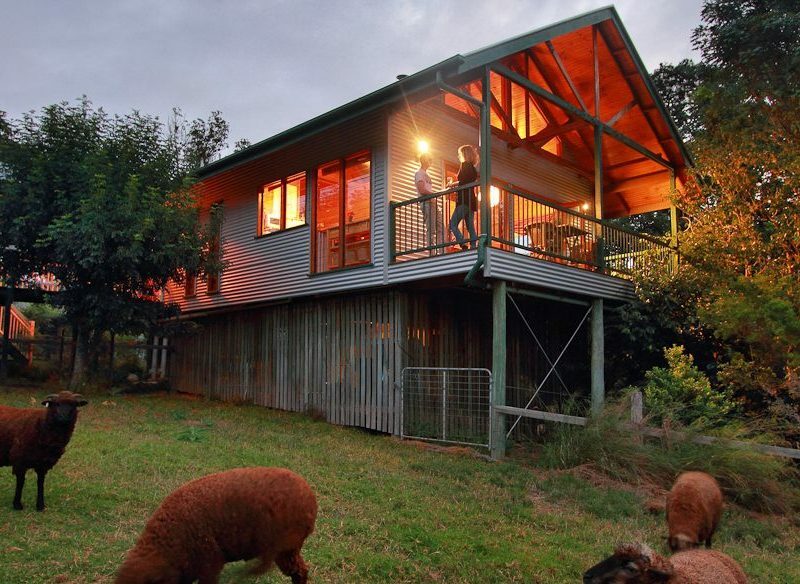 The Agrarian Kitchen is a sustainable, farm-based cooking school in Tasmania’s Derwent Valley. One of the founders, Rodney Dunn, a former chef under Tetsuya, combines his passion for great cuisine with the pristine Tasmanian landscape – a foodie’s dreamland. Five-star cooking classes at Cape Lodge, Margaret River, WA. Situated on its own vineyard and surrounded by the stunning Margaret River Wine Country, this five-star boutique resort is a blissful spot for a gourmet retreat. Cape Lodge is the kind of place where chefs such as Heston Blumenthal, Rick Stein and Adriano Zumbo stay. While cooking classes are held by some of Australia’s top chefs, they are not run regularly, which means getting your skates on and bee-lining for the River when they are. Inside the restaurant at Bells at Killcare. Bells at Killcare runs a monthly cooking school hosted by the head chef of Manfredi at Bells, Cameron Cansdell. The menu is forever changing, thanks to Manfredi’s traditional Italian cooking philosophy of only using seasonal, organic produce. Before attempting the simple Italian recipes, students handpick produce from the serene Bells gardens. The experience is then finished off by dining with the chefs while sipping on some award-winning Manfredi wines. The tasting room at Chapel Hill Cellar Door. With celebrity chefs like Poh dropping in to take a masterclass, Sticky Rice undoubtedly understands the art of Asian flavour. As well as pounding out aromatic curries and feasting on the rewards afterwards, students have the opportunity of staying in one in one of Sticky Rice’s villas modelled on Balinese, Thai, and Japanese architecture. Nestled amongst tropical gardens and tranquil ponds, The Spirit House has the right amount of exotic ambience to transport its guests into the heart of Thailand. Home to an award-winning Asian food restaurant, this is a sublime spot for learning how to make the finest modern Thai cuisine. One of the dishes created at Wild Lime Cooking School. Hidden in the Lost World Valley in Queensland’s food basket, the Scenic Rim, is a cooking school with more than just your average view. The Wild Lime Cooking school offers snug ‘Treehouse Cottage’ accommodation, equipped with a fireplace and a balcony, so you can cook and relax all the while staring out at the World Heritage-listed rainforested mountains of Lamington National Park. Wild Lime Cooking School, Lamington National Park, Queensland. With a focus on locally sourced, quality produce, Flavours of the Valley offers a range of Mediterranean cooking techniques practiced against a backdrop of peaceful Kangaroo Valley. As well as classes, a ‘Tastes of the Valley’ mini-bus tour is available, going behind the scenes of the farmers, providores and makers of the gourmet food and wine on offer in this serene region.